Make your own fashion lice. Print page and cut out Lice. Glue to cereal box card. 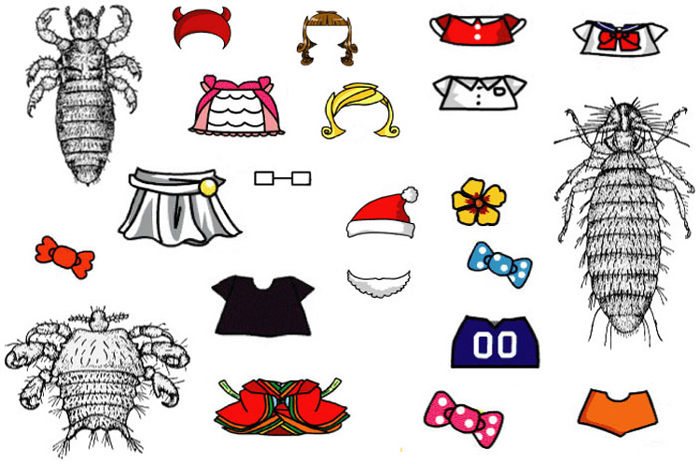 Cut out fashions and accessories and have fun dressing your lice. A small idea by Alison Winfield-Chislett.